Hello we lost our 8 year old gray female cat on Tuesday April 25th. We are from Blainville rue de Maricourt. Our cat never goes outside, she is very fearful. 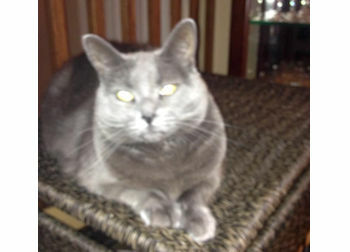 Please, if anyone has seen her, contact me : manonletourneau1963[at] hotmail[dot] ca, we are very sad.